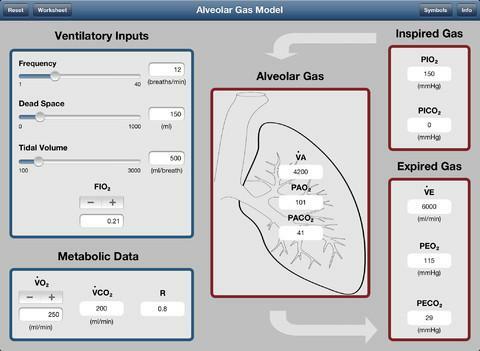 This computer program lets studying some of the physiological factors that affect the composition of alveolar and expired gases. Such factors include dead space, tidal volume, the frequency of breathing, and the rates of oxygen consumption and carbon dioxide production. A worksheet is included. Availible as PC, Mac and iPad versions.